The painstaking, creative, and ultimately rewarding process of wine collecting can rightly be considered an art form. The wine that you have is an art piece in and of itself. This is why it’s so important to store them in a Texas custom wine cellar that reflects the amount of thought and care that you have poured into choosing, collecting, and storing your wine. Everything from the wine cellar racks and wine cooling system to the wine accessories and the wine tasting area in your wine cellar should reflect the design or aesthetic that you want to project. There are many ways to achieve this. Choosing an attractive and durable wine rack is one way. You have a choice of materials such as wood or metal, plus size and composition that will make a statement in your wine cellar. Another way is by using refurbished wine barrels to add a rustic touch to your space. You may also opt for ornate doors or mood lighting to set the tone in your wine cellar. Adding aesthetic appeal to your wine storage space can also be achieved by adding murals to it. Murals give your wine cellar a unique ambiance, providing an artistic backdrop to your room. They can also instantly transport your visitors to another place and time, especially if the murals are of a lovely French countryside or the like. There are options of readily made murals with a variety of wonderful designs you can choose from. Often, the designs one can find here run the range of vineyard scenes, vintage wine bottles, grapes, wine corks, or wine barrels. You also have a choice of sending in a particular image or photograph that you fancy which the mural company can work with as the basis for your mural design. Choose a company that can work with the design and space specifications so that your wine cellar will truly be customized according to your taste and style. But, if you want a truly unique and artistic touch, go all out and have an artist come over to your wine cellar to personally hand-paint the mural onto your wall or ceiling. This is a great collaborative process where the wine cellar owner will have firsthand input on his or her design idea. At the same time, it is a marvelous experience to see an artist’s creative process and witness how a work of art is brought to life. Another alternative is to contact a reliable company that can provide you with custom-made murals. 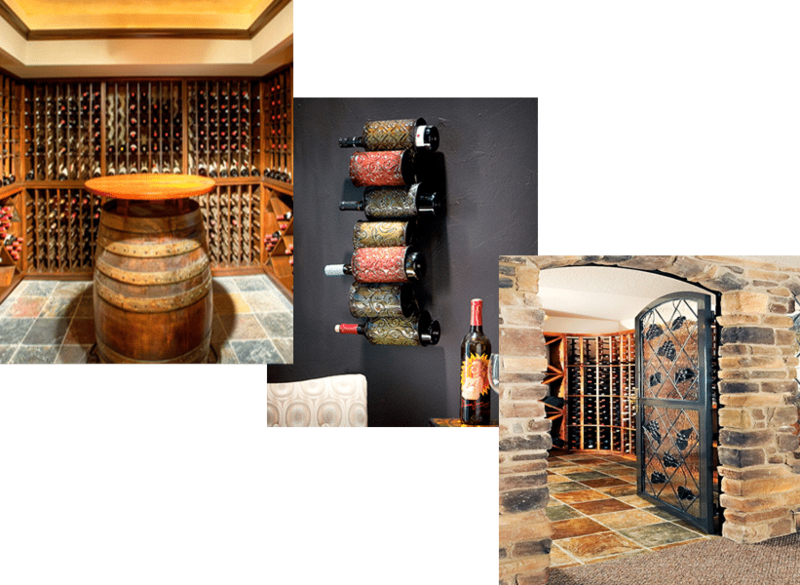 Wine Cellar Specialists offers wall murals that can make your custom wine cellar distinct from others. They have canvas murals which are photographs and paintings produced in large-sized canvas, vinyl, or repositionable peel and stick decals. These murals are perfect for whole or partial walls. Click here to know more about canvas wall murals. For interior wall surfaces, inside arches, or a spotlighted area, choose tumbled marble tile murals. A beautiful rustic design is created in your wall surface if you opt for the natural stone tumble marble. Wine Cellar Specialists use only tiles from Turkey to provide classic designs for their clients. Learn more about tumble marble tile murals at http://www.winecellarspec.com/murals/tumbled-marble-tile/.